Sometimes called the relaxing period, this is the process of folding, without creasing, a recently pasted or wet strip of wallpaper or border, with pasted sides together. This allows the paste to soak into the wallpaper backing and prevents the paper from expanding on the wall which creates blisters or air bubbles. Generally instructions call for 1-2 minutes of book time once the paper has been pasted or wet to activate the paste. A technique where a wallpaper liner (see “liner paper” below) is installed horizontally and the decorative wallpaper is installed vertically. This ensures that the seams do not fall in the same place and results in a more secure adhesion. The condition when the backing of the wallpaper or border begins to separate from the vinyl facing. This is often caused by excessive soaking or booking times (see “booking” above). A technique to obtain perfectly fitted seams in wallpaper and matching one roll of border to the next roll. This is done by overlapping one strip of wallpaper or border over the other until all patterns are perfectly matched. Then a sharp blade is used to cut through both layers. The excess edges are then removed. Sometimes referred to as a half -drop match, it is a pattern match in which every other strip of wallpaper that is installed will have the same pattern design at the ceiling line. This forms a diagonal pattern sequence, rather than the horizontal pattern sequence created by a straight match (see “straight match” below). Small arrows marked on the edges of some wallpaper to make pattern matching so easy. Just join the match points, then simply wipe guides off with a wet sponge. An innovative vinyl free non-woven fabric that is easy to hang and easy to remove and environmentally friendly. More information at our Easy-Walls Guide. A small space that appears between strips of wallpaper that are hung side by side. This occurs due to improperly prepared walls or excessive force being used during the installation process (see “stretched wallpaper” below). A natural textures made from natural and synthetic fibres, and add warmth and texture to a room. They are recommended only for low-use, dry areas, as they can be damaged by steam and moisture. 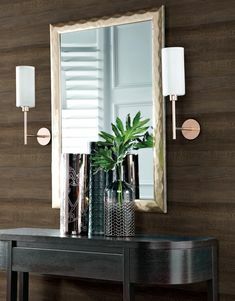 A thick, vinyl wallcovering that is installed under the decorative wallcovering. Available in a variety of weights, liners are used to smooth out rough or heavily textured surfaces, or to cover paneling or cinder block walls. Liners are usually hung horizontally to provide cross-seaming (see “cross-seaming” above). Liners should not be installed over individual plank or tongue-and-groove boards, as the wood will expand and contract with changes in the weather and will stretch or rip the liner during expansion, and/or wrinkle during contractions. A single picture or scene with no repeats. Murals can come packaged in panels that, when installed properly, form the scene. Extreme care should be taken when installing murals as each panel is numbered and there is no room for error. Some murals require trimming for a more custom look. Non-woven wallpapers made of mineral and cellulose fibre are more hard-wearing than conventional wallpapers. Usually contains no vinyl so is environmentally friendly. Often sizing and booking is not required. Easier to strip, coming off in one sheet. With dimensional stability non-woven wallpapers have a high wet-strength and thus maintain their measurements when wet. Seams between two installed strips of wallpaper that have separated, exposing the wall. Usual causes of opened seams include: a) improper wall preparation; b) wallpaper that has been overworked during the installation process. This is when two or more ink colours in the pattern of a wallpaper or border are printed out of line with one another, creating a shadow or ghost like effect. This is a defect that occurs during the printing process and out-of-register wallpapers or borders should not be installed. If this occurs, contact a customer service representative for a replacement of the defective product. The length of a pattern before it repeats. This is required to calculate the quantity of border or wallpaper required. Wallpaper or border of which the front and middle layers can be stripped away, exposing the backing material and making removal easier. Once the backing is exposed, it can then be saturated with hot soapy water or one of the various removal products on the market today, and easily scraped from the wall. Borders with permanent self adhesive are ideal for bathrooms and kitchens where a stronger adhesion is required. Using a hair dryer to warm the adhesive can help with removal. For repositionable self adhesive products see “removables”. Wallpaper or border that has an adhesive sprayed or coated on the backing. This adhesive is water-soluble and is activated by soaking the wallpaper or border in a water tray or bathtub. Be careful not to over soak your wallpaper or border as this may dissolve too much of the adhesive and result in inadequate adhesion to the wall. Also allow proper “booking” of the paper once wet to allow the paste to even activate (see “booking” and “Easy-Walls” above). Wallpaper in which the selvage edges have been removed at the mill before packaging. Most wallpapers come pre-trimmed to make installation easier. An alkyd or acrylic-based liquid applied to the wall prior to wallpaper installation. Primer/sealers soak into a porous wall surface much like sizing (see “sizing” below). However, Acrylic-based primer/sealers also soak into latex paint and re-bond the paint to the wall. This is important because most wallpapers expand when wet, as they dry they tighten to the wall. Poor latex paint will pull away from the wall during this drying stage. 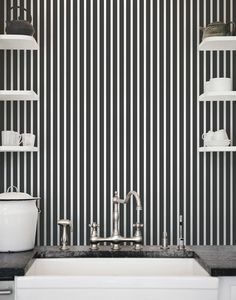 The technique of hanging wallpaper horizontally instead of vertically. This is usually done above windows and/or doors. Wall liners (see “liner paper” above) and borders are also installed in this fashion. Stickers, borders and murals that are made of a self adhesive that is easy to apply and easy to remove. If treated correctly these can be repositioned. A technique used to uncurl a roll of wallpaper or border by unrolling it and re-rolling it in the opposite direction from how it was packaged. A technique of installing wallpaper in which every other strip is hung upside-down. This ensures that the lighter and/or darker edges of textured wallpapers come together to minimize shading. Sometimes referred to as a Dye-lot Number or Batch Number, it is a letter, number or combination of both that is given to a particular batch of wallpaper rolls or border spools that are printed at the same time. It is important to record these numbers in case additional wallpaper or border is needed at a later date. These numbers help to ensure color continuity among rolls. The process of sanding, scraping or etching the vinyl surface of a wallpaper or border in preparation for removal. Scoring allows the removal solution to reach the paper backing of the wallpaper or border and dissolve the adhesive. A liquid mixture that is applied to the wall prior to wallpaper installation. Sizing creates a uniform porosity on the surface of your wall and increases the tack of the wallpaper during installation.It also helps with removal. It is common to use power paste with double the quantity of water to create a size mixture. Sizing should not be mistaken for a primer/sealer (see “primer/sealer” above). 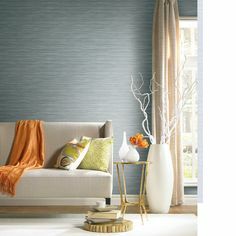 A type of wallpaper or border that has a paper or fabric backing laminated to a solid vinyl facing. These papers are often used in high traffic areas such as kitchens, bathrooms and children’s rooms. Sometimes called a straight across match, it is a pattern match in which every strip of wallpaper that is installed will have the same pattern sequence at the ceiling line. This creates a horizontal pattern sequence, rather than the diagonal pattern sequence created by a drop-match (see “drop match” above). Horizontal stretching occurs when a wallpaper strip that has already begun to adhere to the wall, is forced to stretch horizontally to join with a strip that is hung next to it. Vertical stretching occurs as a result from the weight of long strips of wallpaper that are held up for a period of time without being adhered to the wall. Care should be taken to avoid stretching as much as possible as it may result in gapped or mismatched seams (see “gapped seams” above). allpaper or border that is easily removed without damaging the wall. Strippable papers remove both the cover and backing at the same time. Wallpaper and borders made of a revolutionary natural and synthetic fibre, SURESTRIP prepasted lets you dramatically transform your room quickly and easily. Just roll it out, wet it and apply it to your walls. When you are ready to redecorate, it comes off in seconds with no wall damage and no tools needed when properly installed to manufacturers instructions. Just pull it off! SURESTRIP is easy up, easy down. More information at our SureStrip Instructions. Wallpaper or border that has not been pre-pasted at the mill prior to packaging (see “pre-pasted” above). Different adhesives work better with different papers, you should always refer to the manufacturers recommendations prior to purchasing your paste or premised adhesive. Wallpaper in which the selvage edges have not been removed at the mill prior to packaging. Trimming is done by the installer and can be done using a straight edge and razor knife prior to installation, or the wallpaper can be double-cut during the installation process (see “double-cutting” above). The quantity of wallpaper that is actually installed on the wall. This does not include waste due to pattern match or allowances. The distance between one point on a pattern design to the next identical point, measured vertically. Sometimes referred to Vinyl Protected. Borders or wallpaper substrate has been coated with an acrylic vinyl or PVC coating making it scrubbable or strippable.